100 bottles of beer on the wall…. When I started this project my focus was on trying beer from each of the 50 states, on a weekly basis. I didn’t have any other goals in mind. When it came to beer selection, I decided it would be nice to have more than one brewery representing the state, but it wasn’t necessary. I wanted the blogs focus to be about the state and their brewing scene, and not a specific brewery. As a result, I never considered how many different brands and styles of beer would become part of this project. But as often happens in life, while we are focused on one goal, we encounter (and sometimes overlook) other significant milestones along the way. Take one down, pass it around…. On March 15, 1820, Maine, officially seceded from Massachusetts to become the 23rd state of the United States. The largest city in Maine is the costal city of Portland, and in 1851, Portland had a mayor named Neal S. Dow. Mayor Dow was a prohibitionist that is famous for securing the passage of prohibition in the state of Maine, making it the first dry state in the United States. Known as The Maine Law, this prohibition of the sale of all alcoholic beverages quickly spread to twelve other states and became the start of the temperance movement that over the course of the next 70 years would grow into the 18th Amendment. Luckily for us, Maine has changed its view towards brewing and today there are a number of great breweries operating in the state, and this week, we will sample beer from four of them. 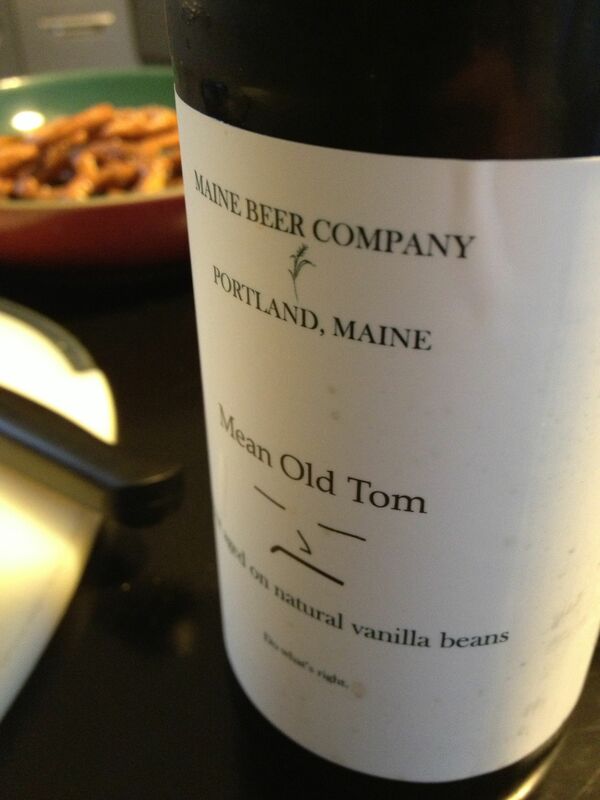 The first beer of the night was Stout from the Maine Beer Company called Mean Old Tom. This beer received a big like from everyone around the table. The taste was slight burnt and nutty. Burnt, but in the way that char tastes good. The mouthfeel was smooth, and refreshing. The label for this beer says it is a “Stout aged on natural vanilla beans,” and for me that is often a flag, but for this beer, the vanilla wasn’t overpowering. It was subtle and complemented the malt perfectly making this a beer worth checking out. When I was purchasing beer for this week, I was also on the hunt for a big Stout to complete a trade for an upcoming state. 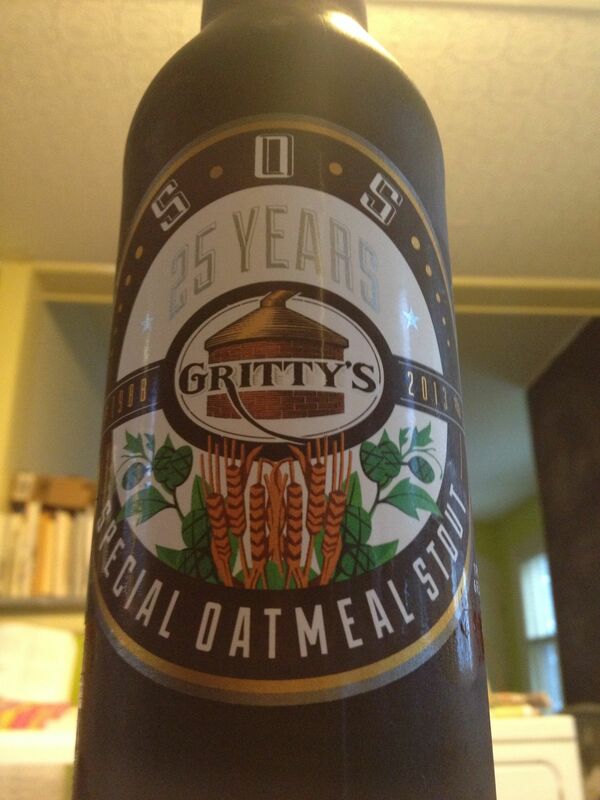 I was recommended a beer from Gritty McDuff’s that was specially brewed as part of Gritty’s 25th “beerthday”. A limited run, Special Oatmeal Stout that is higher in ABV, with rich, complex, full flavors, would fit that bill well, and they only had one bottle left. That was too good to pass up, and frankly, potentially too good to trade as well. So instead of going out for trading, this beer became the 100th beer of this project. After opening the gold foil wrap and pouring this beer, we were greeted with a sweet, almost banana like smell. I was quickly reminded of BB Bats taffy chew lollipops that were a staple of birthday parties and halloween candy when I was growing up. With a mouth feel thicker than the previous stout, and slightly more bitter, the taste, was completely different from the smell. 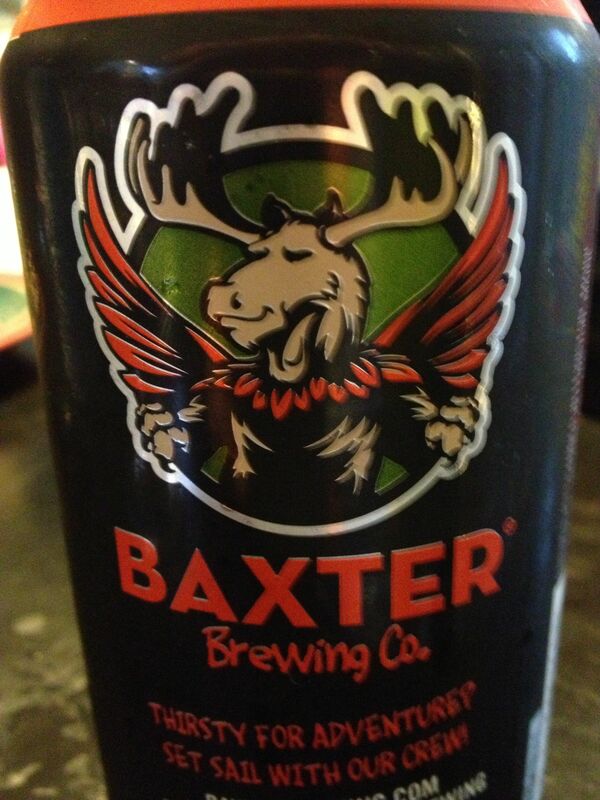 Overall, this beer was ok, but it wasn’t as good as the previous Stout. For the next beer, we switched gears and went to a Hefeweizen from Rising Tide Brewery called Spinnaker. I chose this beer because of its unique yeast characteristics. Last fall, I was at a local craft beer tasting and Rising Tide was there. Off all their great brews, the Spinnaker stood out to me because the yeast used produced a distinct banana smell. I had no idea before I made my purchases that the previous Stout would also have a banana smell. Like the previous beer, luckily, the smell and the taste differ, however one of the tasters did not like this beer at all. Having issues with the outré end of the taste. With some discussion, it was agreed that this would be a great summer beer enjoyed with some grilled Plantains and maybe a hammock. 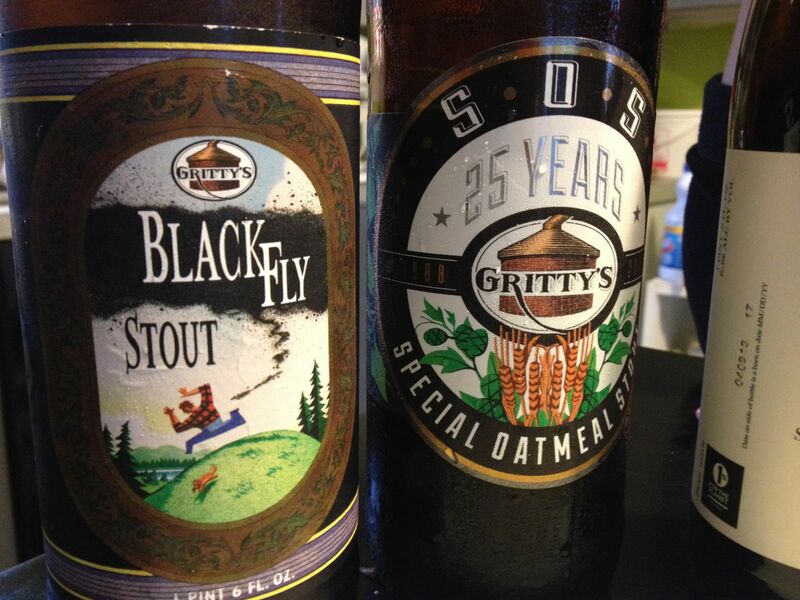 Moving on from the Spinnaker, we came back to another Stout from Gritty McDuff’s called the Black Fly Stout. This Stout did not have as burnt of a taste as the previous Gritty’s Stout and was more carbonated. But when it came to smell, this beer was the most unique of the day. Right from the start, I recognized a unique smell for this beer, and it took some time to place it. It took a minute or two, but then it hit. This beer had the distinct smell of dried cow manure. Normally a smell that doesn’t bother me, but in a beer, it isn’t a characteristic I would seek out. The final beer of the night came in a can. From Baxter Brewing, Maine’s first brewery all can brewery, we went with the always good Stowaway I.P.A. With its sweet citrus smells, this beer is distinctive and enjoyable. With just enough hops to quench the thirst, I always enjoy this beer, and it was a great way to wrap up the state of Maine.